Over the last 25 years the Polish economy doubled in size, with Poland in the top three fastest-growing economies in Europe, post-recession. The Polish employee rate currently stand at 66.2%, and continues to rise each year, highlighting a positive outlook on the countries overall jobs market. So, with their economy on the way up, what else makes this country an accommodating choice. The cost of living in Poland is among the cheapest in Europe. For example, the city of Wroclaw is 63% cheaper than London (United Kingdom) and 58% cheaper than Dublin (Ireland). While the city of Krakow is 60% cheaper than London (United Kingdom) and 56% cheaper than Dublin (Ireland). With one of the cheapest cost of living in Europe, you will be left more disposal income. Poland has a very well-developed health infrastructure, with 10 big public hospitals in Wroclaw alone. In comparison to other countries private healthcare is relatively cheap. The Polish education system has undergone many positive changes in recent years, it offers a great variety of quality education opportunities for children and teenagers, up to third level education. These infrastructures include international schools, which are English speaking, most prevalent in the major cities of Poland. The Polish culture and lifestyle stems from the culture of many other European cultures, which makes it an easy lifestyle to make friends and become involved in. In the Polish cities, it is easy to find any type of social life you may be seeking. With vibrant nightlife, concerts, shows, restaurants, Museums and exhibitions, there is never a dull moment and there is also opportunity to get out there and socialize with the city. Whilst living in one of the major cities of Poland, the necessity for a car is not needed as the public transport system is fully developed and very affordable. Unlike other European cities, this transport system, made up of trains and buses, also runs in the more rural parts of Poland, with buses running throughout the day. The extensive railway system connects some of the major cities of Poland to other European countries, meaning a weekend break is only a train ride away. 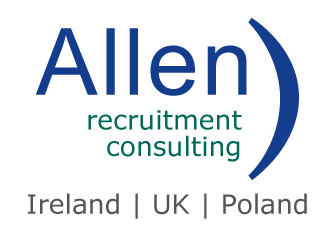 Allen Recruitment are a specialist ICT recruitment firm and have been successfully placing candidates in great jobs across Europe for the past 20 years. We are working with a global client in the financial services industry looking to build a number of Java teams to develop leading edge financial services products and systems based in Poland. These are all new teams and projects, so it is a fantastic opportunity to accelerate your career in a super place to live with a low cost of living and larger take home pay.